The members of the New Orleans Legacy Ensemble is an extraordinary gathering of some of the best and the brightest of the city’s jazz stars: Donald Harrison Jr (alto sax); Nicholas Payton (trumpet); Marlon Jordan (trumpet); Jamil Sharif (trumpet); Delfaeyo Marsalis (trombone); Louis Ford (clarinet); Victor Goines (tenor sax); Peter Martin (piano); Elton Heron (bass); Adonis Rose (drums); John O’Neal (vocal). 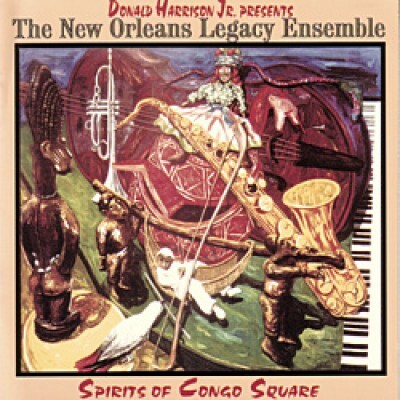 On ‘The Spirits of Congo Square,’ they conjure the spirits of the Crescent City’s jazz legacy with wit, style and a maximum of high powered swing. 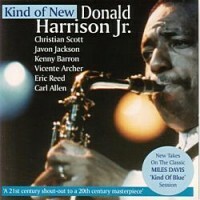 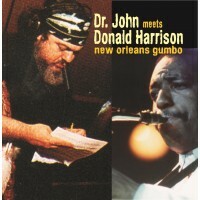 The credit for the high standards of New Orleans music belongs to the players on this album – New Orlenians all – who delve into Donald Harrison’s smashing arrangements with gusto. 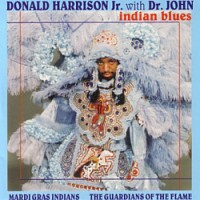 Donald Harrison who previously explored his Crescent City musical roots on the land Indian Blues album (Candid CCD 79514) has something more up his sleeve here than just doing a New Orleans roots album. 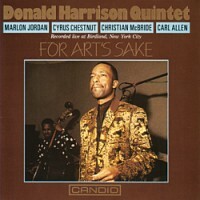 He brings the sound of the tradition up to date with modern twists on the old rhythms and inventive arrangements of familiar jazz tunes.